H&D Cycles is a small family run business. We’ll take the time to listen to your concerns and provide you with options to meet your needs. Unlike the OEM Dealers who get new customers when selling a bike, we get new customers from our good referrals. We strive on our long lasting repeat customers. We’re able to start our relationship from your first 1,000 mile service. 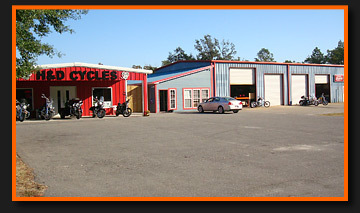 We are an authorized Harley Davidson EXTENDED WARRANTY center. H&D Cycles is also selling nationwide extended warranty service plans. Better coverage and lower price for new and used motorcycles! Come by and take a tour, you’ll be glad you did. NOTE: SHOP WILL BE CLOSED 11/22/18-11/26/18 FOR THANKSGIVING BREAK! WILL BE CLOSED 11/22/18-11/26/18 FOR THANKSGIVING BREAK!